The Department of Buildings supports the safety and quality of life for the residents and visitors of the City of Chicago through enforcement of the Chicago Building Code. The permitting and inspection process promotes high quality design standards as well as the conservation, rehabilitation and reuse of the City's existing buildings. 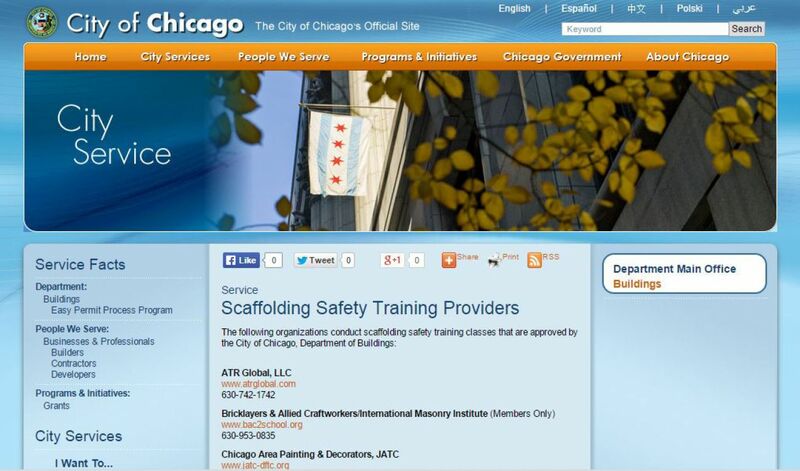 Chicago Scaffolding is recognized as a Scaffold Safety Trainer by the City of Chicago.